When you reach your front door before or after a long day, your hands are often full. You have envelopes and papers in one hand, bags in the other and a jacket over your arm. And the first thing you usually interact with is your coat rack. 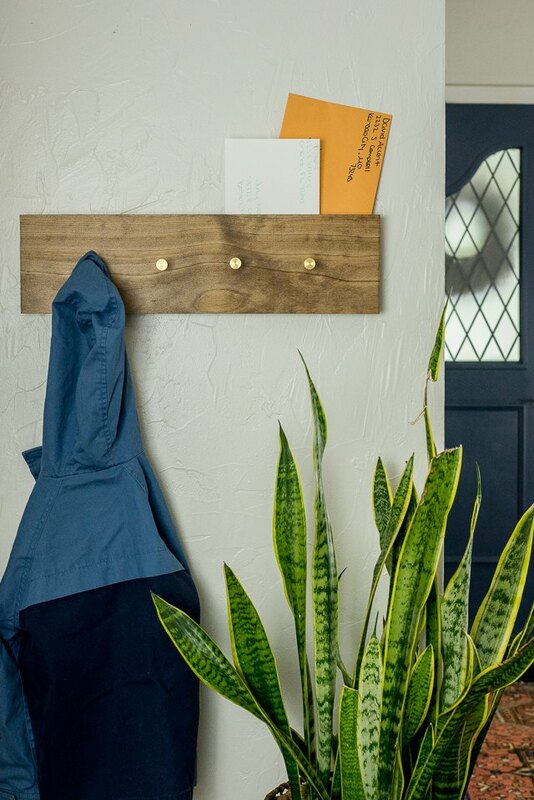 While traditional racks can take the jacket and bags off your hands, you can use this project to build and mount a beautifully simple rendition that even has a hidden slot for mail. 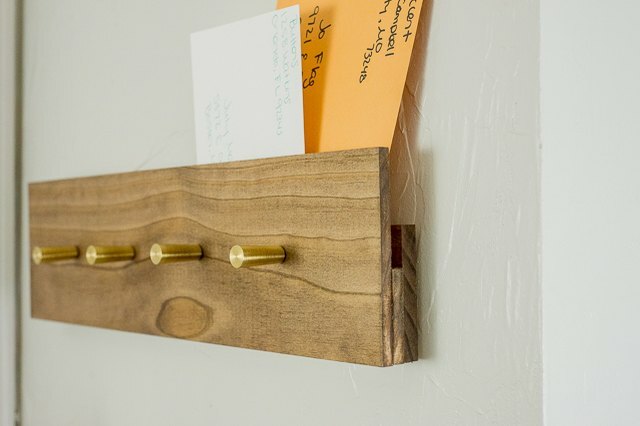 Follow these straightforward steps to create a coat rack that can organize your must-have items. 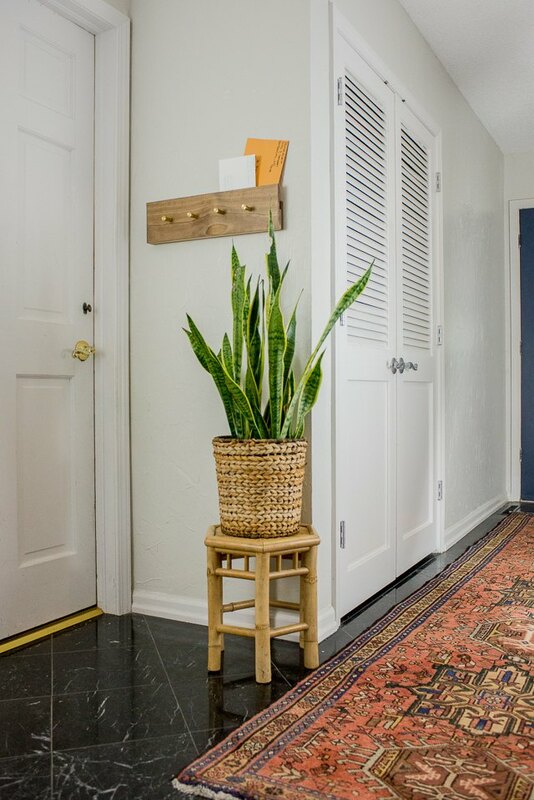 It's easy to tailor to your space, and will simplify the daily scramble at your home's entryway. 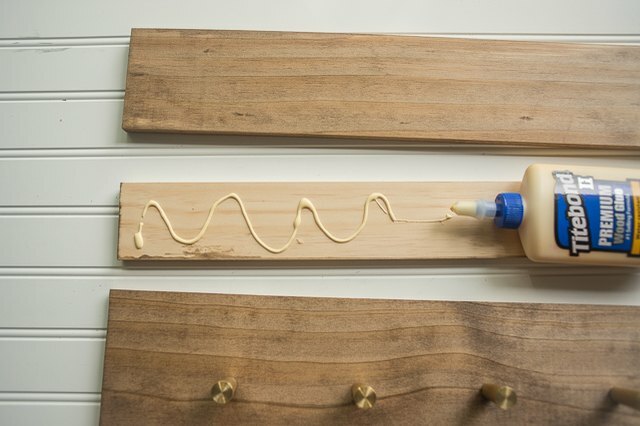 Determine the size of coat rack you would like and make adjustments to this project based on your wall size. 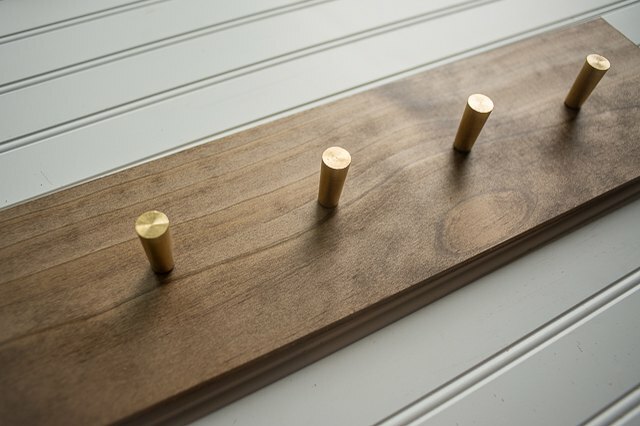 For four coat hooks, a 20-inch-long coat rack will give you ample space. Cut all three pieces of wood to 20 inches in length. 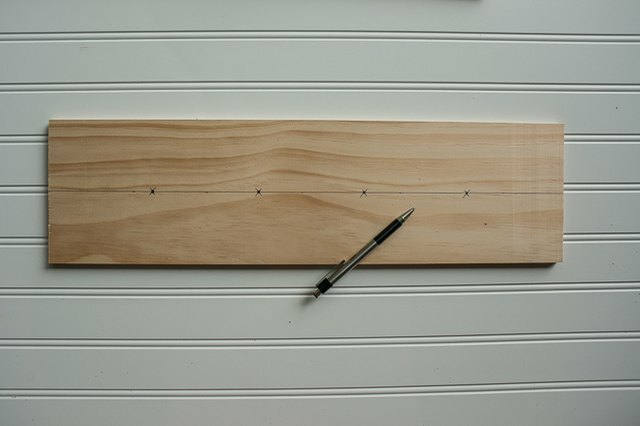 The 3/8 x 6 x 20-inch piece of craft wood is the front of the coat rack (those are the nominal measurements; the actual measurements are 3/8 x 5 1/2 x 20-inches). Find the vertical center of the board, which would be at 2 3/4 inches, and draw a horizontal line across the length of the board. Place marks at 4 inches, 8 inches, 12 inches and 16 inches. These marks will be where the coat hooks will be positioned. Use a drill with a drill bit that has a similar diameter to the screw that came with the coat hooks. Drill through the wood where the marks are. Stain your wood using a brush. 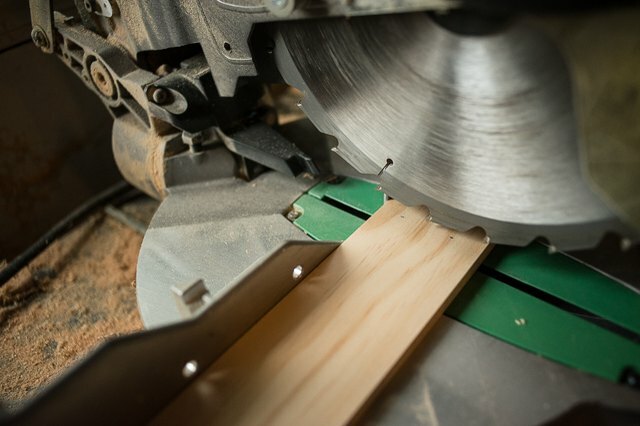 The smallest board will only need stain on each end, as well as the top and bottom. Make sure to apply the stain to all sides to the other two boards. Let the boards dry, and then apply a polyurethane finish, using the directions on the can. Let the boards dry again. Attach the hooks or knobs of your choice. Screw in from the backside to tighten. 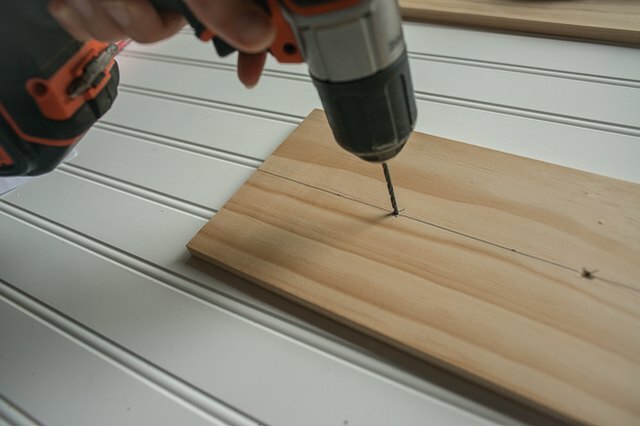 Apply wood glue to the 3/2-inch x 3-inch x 20-inch piece on both sides. Sandwich that piece between the other two pieces, making sure to line up the boards on the bottom and sides (as shown in the picture below). Clamp the pieces in place, using some scrap wood to protect the finish, and let dry. 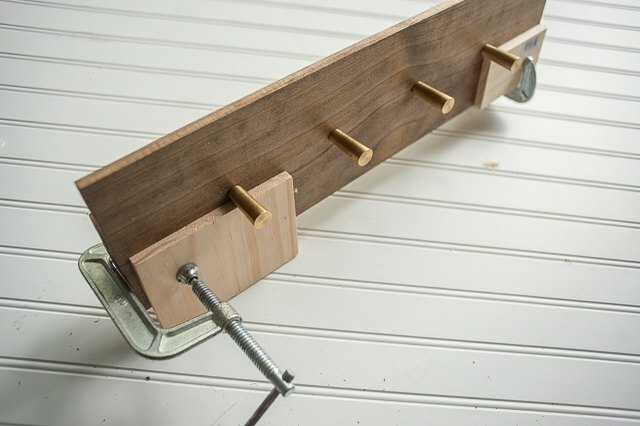 Nail or screw the hangers onto the back of the coat rack. 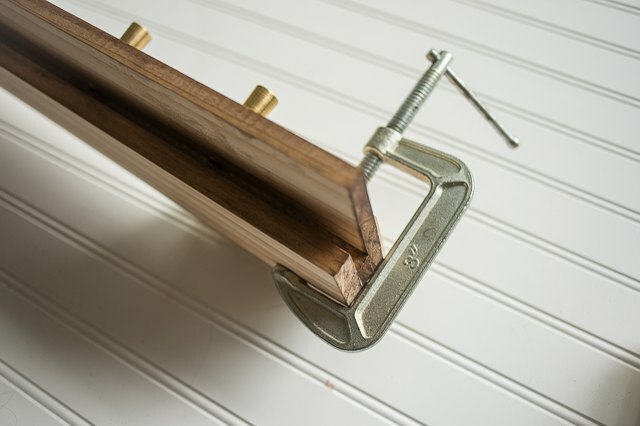 Attach to the wall using wallboard anchors or drywall screws driven into studs. Now it's ready for your mail, bags and jackets!